County Sligo more commonly referred to as “Yeats County” is one of our country’s gems. There is no great mystery surrounding the famous poet’s obsession with Sligo and everything it has to offer. The town and it’s surroundings are ashamedly understated. It is visually stunning with the famous Benbulben Mountain as its amazing backdrop. 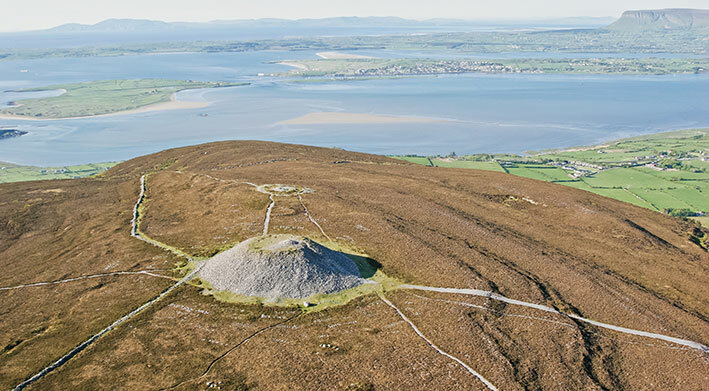 Sligo’s coastal location offers huge attractions with access to beautiful beaches such as Rosses Point, Strandhill and Mullaghmore. The rawness of this coastal town needs to be embraced by all visitors. The attractions are plentiful and not hindered by the West of Ireland climate that residents are so well accustomed to. In fact, the rough waves witnessed at Strandhill and Mullaghmore are the reason Sligo is the preferred international location for water sports. During your teenagers Five day experience they will witness one the most rugged portions of coastline on the Wild Atlantic Way route. Kayak on Lough Gill that is surrounded by lush woodland and observe the power of the Garavouge River that cuts right through the heart of Sligo town. Irelands answer to Table Mountain is Sligo’s Benbulben casting it’s shadows while Queen Maeve is always keeping a close eye on what’s going on from the tip of Knocknarea. The Sligo environment will almost instantly erase memories of the urban sprawl and set your teenagers spirit free. Let your teenager experience life without technology and take in the romantic landscape that few places on earth can offer. During your teenagers seven day experience they will witness one the most rugged portions of coastline on the Wild Atlantic Way. They will Kayak on Lough Gill that is surrounded by lush woodland and observe the power of the Garavogue River that cuts right through the heart of Sligo town. An unique week long experience, full of fun, learnings, growth - all of that while making friends and memories along the way. Enter your email address below and we’ll keep you up to date on all thing Epoch.